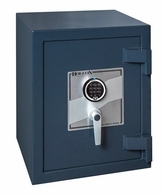 Jewelry Safes High-Security Safes & TL-15, TL-30, TL-30x6 in Los Angeles - What Kind of Home Safe Do I Need? At least 15 minutes tool resistant door. Potentially insures up to $125,000. At least 30 minutes tool resistant door. Potentially insures up to $1/4 million. Six-sided protection that potentially insures up to $1/2 million. "An Underwriters Laboratories tested U.L. rated TL-15, TL-30 or TL-30x6 high-security safe should be the foundation of your security system. Widely considered to be the market authority in jewelry safes and high security safes, these babies are built to resist intense burglary attacks longer than almost any other safes available today." Our stores carry hard to find U.L. 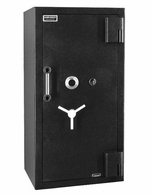 rated TL-30x6 safes at TL-30 prices! These are not just stripped down boxes, but well-appointed composite safes which are being insured for more than twice the dollar amount as a TL-30 safe. Versatile, heavy-duty and user-friendly, these safes are in stock and available in various sizes ready for delivery or shipment. Extreme protection at an economical price — all in stock at our Los Angeles area safe superstores!